After the New Concept and Commercialization team was dissolved as Hallmark focused on innovation in gifts and books and less on cards, I was moved to a tiny studio within print-on-demand and mobile greetings, entering this new role halfway through a failed trial run of a new Facebook application in partnership with the tech development company Newput. It was obvious the team’s days were numbered after a series of marketplace flops and keeping the team optimistic was difficult. I was added to the mix in hopes that I’d be able to revitalize the creative spirit but found the environment to be hopelessly toxic. I did, though, meet a funny and talented animator and fellow creative spirit. He had drawn a little sketch of a hamster and showed it to me with the hope of making me laugh. It did. He asked me to come up with a name for the little guy. I thought… Harold? Harvey? Hank? Hampton?…terrible. Then I just blurted out “The Hamster of Happiness”. He liked it. So did I. He then asked what does the Hamster of Happiness do? I thought for a moment and said, “He’s a hamster. He doesn’t lead a complicated life. He eats, drinks from that bottle-thing, pellets, makes other little hamsters, and runs on the wheel when he feels he need to exercise. He doesn’t understand why people can’t just be happy and uncomplicated like him.” We both knew we were on to something. The next step was figuring out a format we could sell to the gifts team since that’s where the company’s focus was at the time. We decided a panic button format would work best. 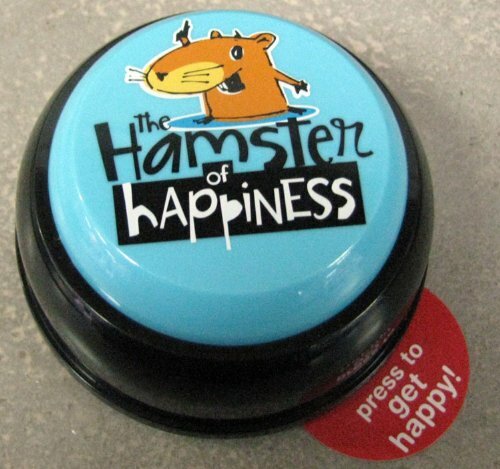 When people needed to be happy and laugh, they’d just push the button to relieve stress. I went into the sound booth and just started making up stuff I thought the Hamster of Happiness would say. We listened back and it just wasn’t funny… that is, until we pitched my voice up to a hamster-like level. The sales team loved it and included it in a 36-foot offering of back-to-school product. We sold so many of those panic buttons (600% to plan at $9.95 each) that the sale of that one tiny product paid for the entire 36-foot offering. 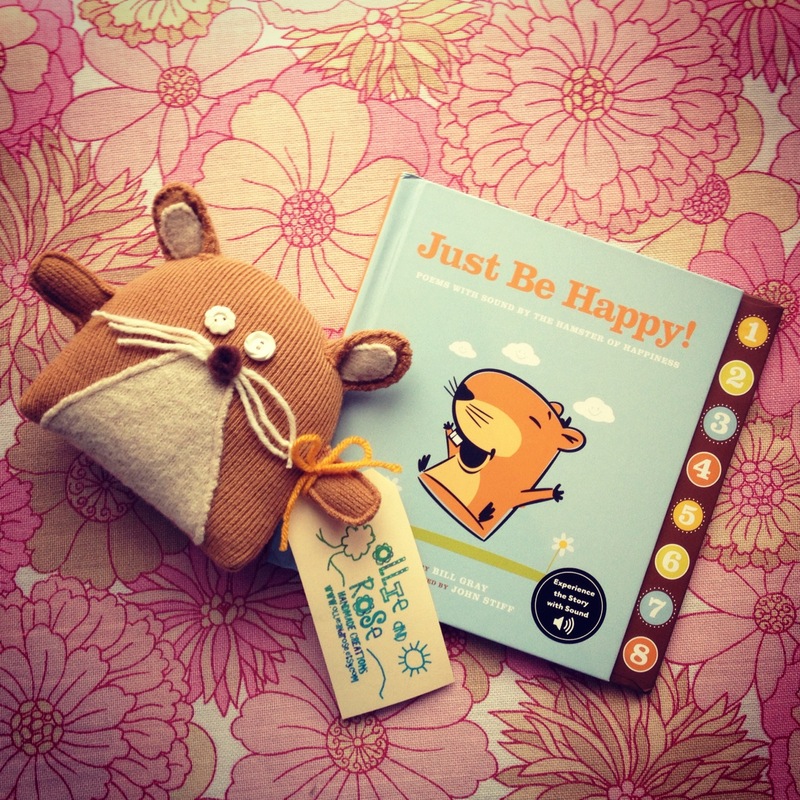 The Hamster of Happiness then, of course, became a plush, a keychain, a book (which I didn’t write… I know, right? ), etc… Enjoy! How are kids and adults using this button?